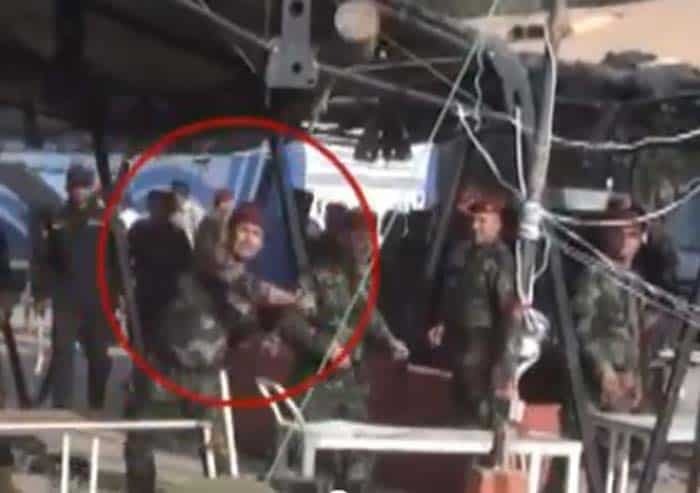 Home World Camp Liberty Is Claim for Injuries Among Iraqi Forces Another Despised Lie? Is Claim for Injuries Among Iraqi Forces Another Despised Lie? This afternoon, concurrent with UN Secretary General’s trip to Tehran and after a 24-hour delay, his spokesman said: “preliminary reports from the UN Assistance Mission in Iraq (UNAMI) confirmed that an incident between residents and Iraqi Police led to some light injuries on both sides.” This is absolutely untrue. No one on the Iraqi side is injured and 20 Ashraf residents are injured, some of them hospitalized. The attack by Iraqi forces occurred on August 27th, at 8 a.m. New York time, and pictures and identity information of the wounded were placed at the disposal of UNAMI monitors Monday before noon. Iraqi Soldiers attack unarmed Ashraf residents, throwing heavy objects at them. Iraq denies this incident happened. The useless UN monitors left as soon as the attack began. Immediately upon the start of the Iraqi forces’ attack, UNAMI monitors left the scene and as they admit themselves, they didn’t witness the incident closely; and on August 28th, they told Ashraf representatives that they could not yet express an opinion about what started the incident and that they had not made a report about the incident yet. Representatives of residents repeatedly asked Mr. Francesco Muta, UNAMI’s human rights official who was at Ashraf to visit the hospitalized wounded residents, 6 of them at Iraqi hospital and 14 at Ashraf’s clinic, so that he can closely witness the event, but he didn’t agree. UN Secretary General spokesman’s statement were made while a senior UNAMI official at 9 a.m., August 29 New York time, in a telephone conversation from Baghdad with the representative of Ashraf residents outside Iraq said that the monitors had not yet made a report about the previous day’s incident. Thus, the claim for injuries among Iraqi forces is another despised lie similar to those recently revealed by a former UN official. The clear goal of such falsifications is to justify the Iraqi governments and Iraqi forces’ crime against defenseless and unarmed asylum-seekers and its consequence is to encourage Iraqi government to continue the suppression and killings. The video clip of the Iraqi forces’ attack against Ashraf residents has been sent to UN and American officials and that clearly proves the falsity of this false claim. The Iranian Resistance calls for the designation of an independent board by the Secretary General to investigate yesterday’s attack against Ashraf residents by the Iraqi forces and to provide an accurate and just report and to find the reasons for such lies.